The old style has multiple holes for fine adjustment using a tool and springbar. 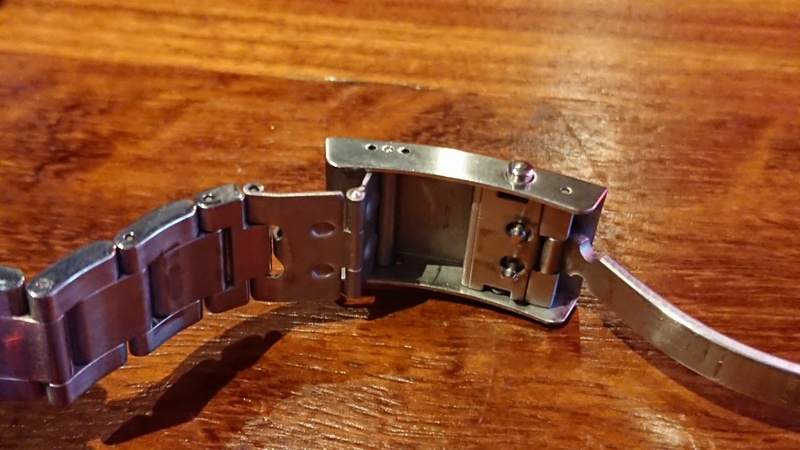 The 3mm diver extension folds out giving a little more size to go over a wetsuit or similar. The new is obviously the ratcheting adjustment. Thank you. I was correct to order the new version so will hold out for 1 of those. 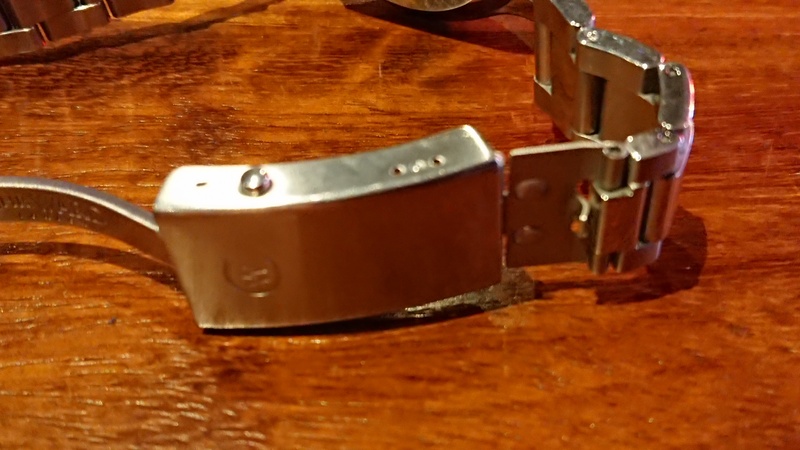 Photos of a CW Diver's extention, not sure or the length. This was on an early C60 Trident 600 Chronometer (SH21) that one of the CWE guys was wearing today. Ok, so not in the official “January Sale”, but I did order a colourful little number from the clearance section early last week. No issues with PayPal or dispatch as far as I am aware, phone conversations with CW and emails to confirm the order all seem perfect and confirmed everything I needed to know. The fly in the ointment has been DPD couriers. My watch was meant to be delivered yesterday (after they missed their original Friday delivery) and they even failed the Saturday one too. Last time I spoke with them they declared it as “lost”, but I need to wait a week before they officially log it. That’s now 4 deliveries in a row (2 from CW, 2 from other senders) that DPD have messed up in one way or another. I don’t remember such a problem back in the bad old days when my first CW watches were delivered my Royal Mail? I might drop the Maidenhead office a line with my next order and ask if they can employ a different delivery courier. Those DPD guys have occasionally been known to toss my packages over my gate and leave them in the rain. Not with a watch thank goodness but clothes for sure. I think a lot depends on local conditions with DPD relating to the delivery address and reliability of the local depot. With all my CW deliveries from DPD, and there have been quite a few, they have been 100% reliable. As to deliveries when you're not in, DPD (and other couriers) have alternatives of deliver to neighbours or deliver to drop off point. Why not use these? This may be the case. Glitches will inevitably happen occasionally with any courier and this is something CW cannot have control of. I'm exactly the same. It's even convenient knowing roughly where the driver is via the map, just in case you do need to fit a quick dog walk/trip to the shops in around your parcel delivery window! Well, my two watches arrived but I made a mistake when ordering the C5 Malvern Mk III - I thought I ordered the Blue Steel version, but upon opening the box it was the Black dial version - surprised! So I checked the order number on my account and aganst the website and I made the mistake when placing the order. Initially gutted not to have the Steel Blue but after 24 hours wearing the black fial, I must say it FEELS AND LOOKS QUALITY. It's a really beautiful piece of work. 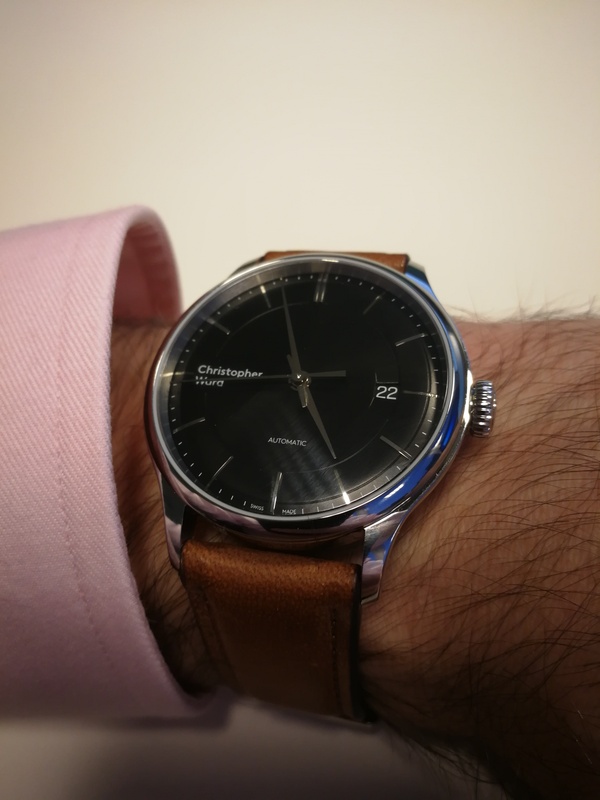 I would thoroughly recommend the C5 Malvern Mk III automatic, looks really high class on and the dial feels bigger than 39mm. I also picked up the C3 FLE 2017 and it has the same size dial 39mm but feels smaller tan the C5 Automatic - it's nice to have the FLE 2017, but on comparision the feel of the C5 Mk III feels and looks a class above. Overall advice to new CW enthusiasts, always go for higher quality when you can. Automatics over Quartz movements anyday. The difference is more much tangible in the flesh. Pictures up in the next few days. Moonphase will be the next purchase in the summer. 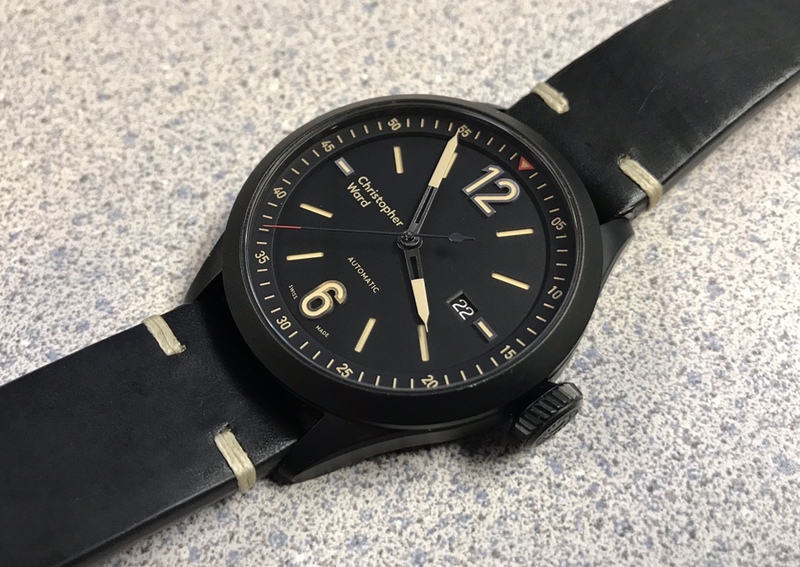 C5 Malvern Automatic Mk III Black - in all it's glory, not even 24 hours on the wrist. Not even 350 quid in the NN - bargain! The black dial C5 and also the C3 is a fabulous watch, very classy. I've got a sale incoming, having tried it on at the GTG. 3rd watch from the sale arrived. Good first impression and this one actually runs..! 2 out of 3 ain’t bad. The C65 is on its way back and hopefully it will be a quick repair. nordwulf wrote: 3rd watch from the sale arrived. Good first impression and this one actually runs..! 2 out of 3 ain’t bad. The C65 is on its way back and hopefully it will be a quick repair. Congrats! Do you love me, or hate me?! ?